Kindergarten Rocks, and so does a freebie and a Sale!!!!!! Today we continued our Unit 3 Reading test (bummer) and it was the first time we did it whole group. As a former 1st grade teacher, I've been pushing them towards that, and it totally blew their minds! Especially with the test folders up! 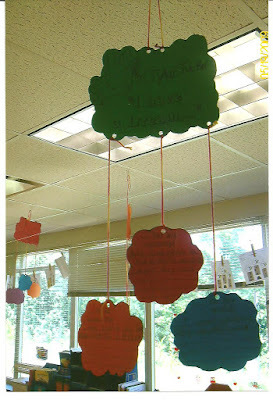 In writing, we FINALLY began our I have a dream mobiles! I've decided that I don't care if it is the end of the month, we are going to finish these! I showed them pictures of previous years, and they were so excited! In math we are working on addition, and we did How Many Fish? by Vickie Plant from Ms. Plant's Press. It is a freebie in her TPT store, so check it out! I didn't tell my kids beforehand how many fish they were getting, so it was too funny when they were all amazed that they all had 10 in all! They all seemed to have the first four, so I then extended the discussion to other ways to make 10. Thanks Vickie! My kids are so excited about all of the Seussy things that we are doing, and I'm so glad, because it seems like sometimes we push too much, and there is no fun anymore! Boo! Ok, ok, I know you've all heard about the Leap Day Sale tomorrow at TPT. My entire store will be on sale at a discount of 20%!! Then TPT will throw an extra 10% off of the already discounted price! I've just added a small packet on time, and I also have free posters for the 7 Habits of Happy Kids. So go on, whatever you've been waiting to buy, tomorrow is the day to do it! So while I'm waiting on the UPS man to bring The Daily Five to my doorstep, go ahead and fill your TPT wishlist! Just a little update and a sale! I had an awesome time yesterday meeting with bloggers from Alabama! We had a faboulous time, and it was great to meet with other teachers who have the same passion for teaching! Hop on over to First Grade Blue Skies for pics of the meet. Well, I have great news! Teachers Pay Teachers will have a Leap Day Sale on Wednesday, February 29! If there is anything that you've been looking at, that is the time to get it! I am so excited about my purchases from Amazon, which is my favorite place, especially with 2-day shipping. ﻿I definitely had to buy the "There Was an Old Lady Who Swallowed a Clover", and I can't wait til it gets here for St. Patrick's Day. I have also ordered my copy of The Daily Five, and I'm so excited! I can't wait to read about this and hopefully implement this in my room next year!! It's kind of scary, but I'm ready! I'm so excited about Dr. Seuss week! I have all sorts of activities planned, and I will try to do better about taking pictures and posting them to my blog. Well everyone, it's finally the weekend!! Whoo-hoo!! Congratulations to Jennifer, Kaleigh and Vickie for winning the St. Patrick's Day unit! In first grade, one of the areas that I struggled with teaching is writing. It was always the subject that I wanted to improve upon each year. Last year, in my third year of 1st grade, I felt as if I finally really had a grip on writer's workshop. Since moving to Kindergarten this year, I moved back to beginning, feeling at a loss for how to teach writing to kids, some who didn't even know their letters, others who were still in the scribbling stage. While reading for my class the other night (I'm 3 classes away from having my Ed.S! 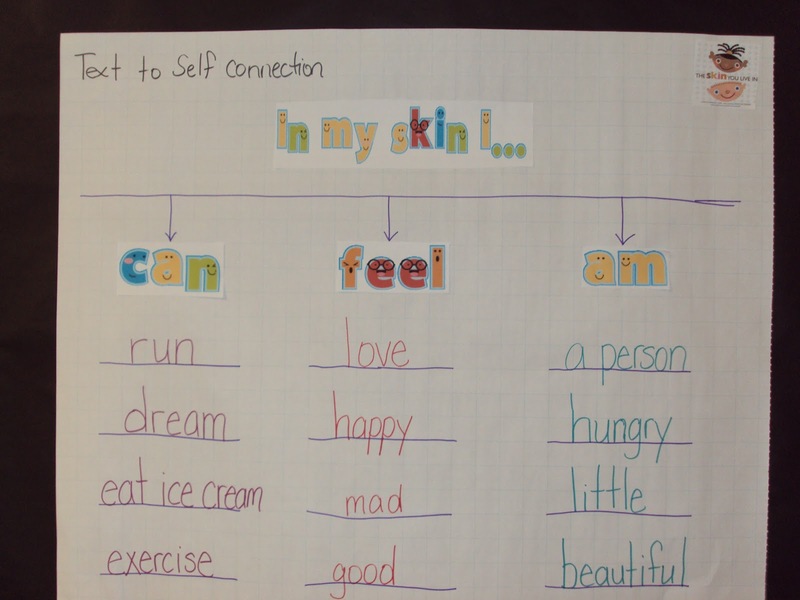 ), I read about the Reggio Emilia philosophy, that has the guiding belief that all children are capable and competent. It allows children to focus on learning experiences with all of their senses. I do a lot of kid watching at times, and by necessity, we have to differentiate instruction. I hate to see the dawning revelation in a child's eyes when they finally realize that they are unable to do the same work as some of their peers. We currently have the Art teacher coming to our room, until she has her own room. I sat and watched part of her art lesson, and when it was time for the kids to do their own artwork, every child looked capable and competent. No child felt inferior, and the look on all of their precious faces were priceless. This is my goal as a teacher, for every child that comes through my classroom to feel this way. Sometimes children can learn to hate education early on, and that makes me so sad, to see their frustration with learning. I have learned to create success for every child, no matter how small. It is something that I wish someone had shared with me in my first year of teaching. Thank you to all of my blog friends, who inspire me to do great things in the classroom, to continue to learn and improve my teaching craft, because they are definitely worth it. I am learning a lot about The Daily Five, thanks to Erica at Sprinkles to Kindergarten, and I can't wait to implement it in my classroom. I hope to learn much more. How do you reach your children in your own classroom? How do you create success for every child? Thanks for listening to me, it has been on my mind all day! It's amazing the simple things that we can take for granted as a teacher! Since the tornado, we really haven't had a copier, and it's been really hard! All of these center ideas and unit ideas rolling around, and no way to get them over to the kids! Well, we received copiers and risos today!!! YAYAYAY!!! I'm so excited, it's ridiculous! My principal just laughed when I told her I just wanted to hug it! I was able to make my copies to do the I have a dream mobile, which I do every year. I was so devastated to think that I wouldn't be able to do it at all. Speaking of which, I have a slight problem. My old rooms (in 1st and K) were basically the same, just down the hall from each other. 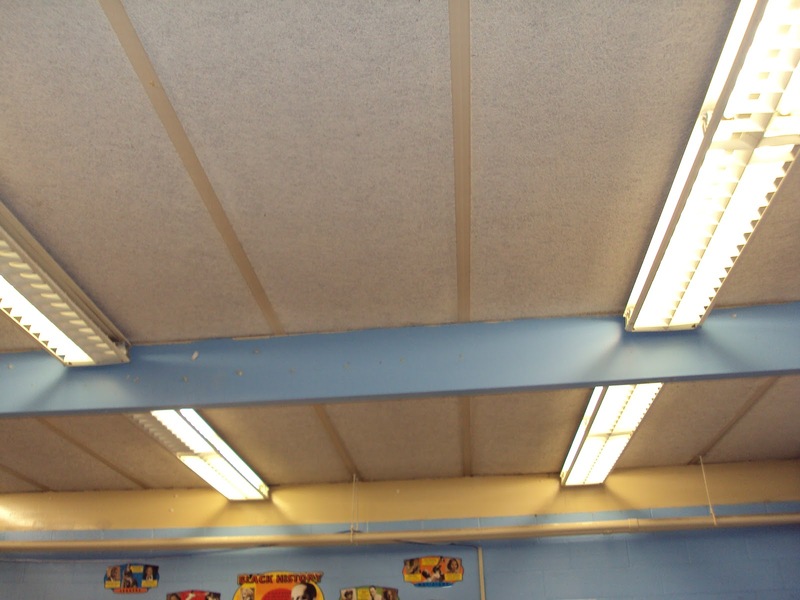 I was able to reach the ceiling by standing on a desk to hang them up. This is my 1st grade room in the following picture. Well, this room at the school we are at happens to be slightly different. It is definitely an older building, and I don't think I can hang my mobiles up. The ceiling is up higher, and it has beams running through it. 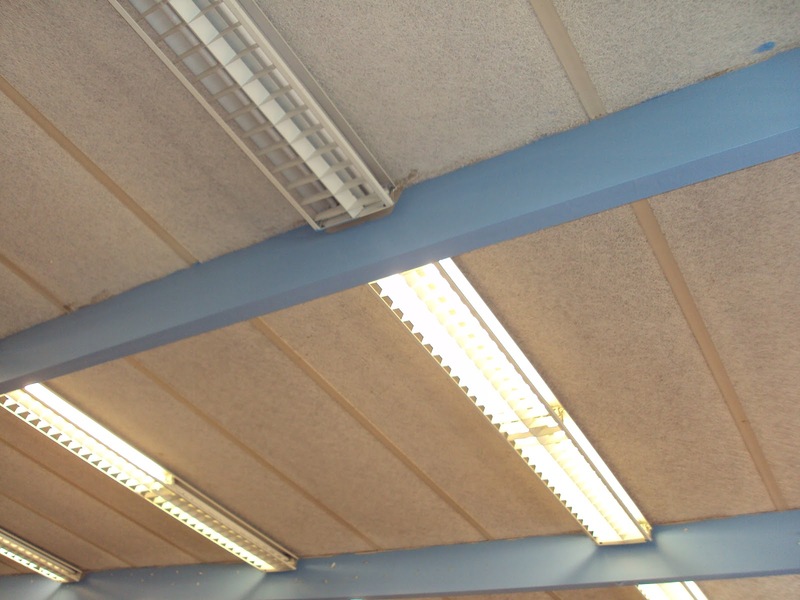 Also, it is almost like one continuous ceiling tile, they aren't squares. See what I mean? So, I'm trying to think of an alternative route, but I'm stumped. Any ideas, anyone? 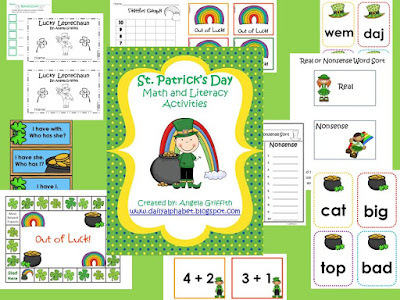 Alright, I just completed my St. Patrick's Day unit, and it goes on sell tomorrow in my TPT Store. Be the first 3 followers to comment on this post, along with your email address, and follow my TPT store, and you'll get it completely free! 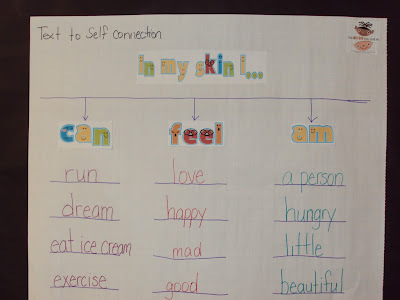 It includes an original story, I have, who has sight words, and a real/nonsense word sort along with recording sheet that can be used in centers. 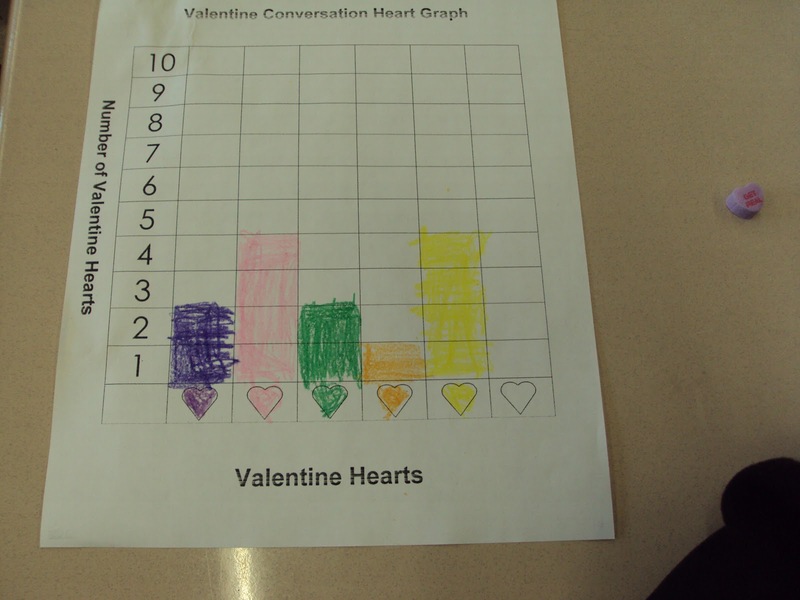 There is also a skittles graph (I LOVE graphs), along with an addition game. I've re-posted this from Castle and Crayons, because I'm so excited! Can’t wait to meet Jennifer, Ms. A., and more this weekend! 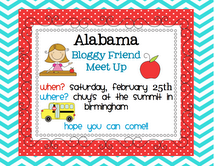 If you live in Alabama, please come out on Saturday! We would love to see you there! :) Thank you so much to Jennifer, at First Grade Blue Skies, for organizing the meet up! Well, I am totally excited about the 3 day weekend! It is something that I definitely need! I am currently working on a St. Patrick's Day activity packet for my TPT store, among other things. I'm so excited to be able to do something like this, because I think that it gives me a better connection than I have ever had in planning. When I first began in teaching, I think I got caught up in planning activities, but then I realized one day that I needed to plan what I wanted my students to learn, and how they would learn it. 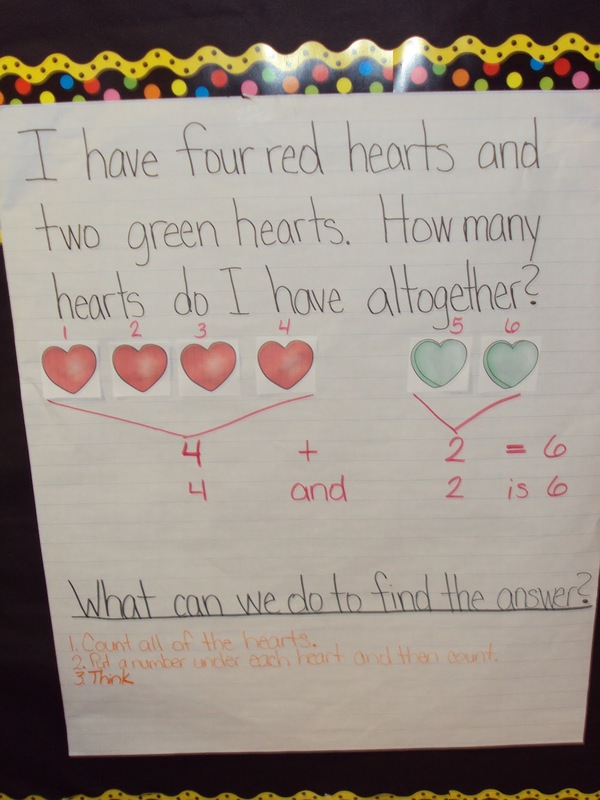 If you are not careful, you can think that by completing activities, students are learning. This is not always the case. I am also planning to dig into the common core, because Alabama is supposed to adopt this next school year, and I definitely want to be ready. I really like how the skills are laid out, and I think it is great! I also want to learn more about The Daily Five, which I keep hearing about ALL over the web, but it is not something that we use. I would definitely like to know more about it. So, I have a few questions: What are your thoughts on the common core? Are you currently using The Daily Five in your classroom? How does it work for you? I got a reason, a reason to sing! Hey guys! It has definitely been a crazy day today! We had a pep rally today, because a radio station collected PE equipment for us! This was great for our PE teachers, since the gym totally flooded in the tornado and some things were lost. Now, this radio station normally does pep rallies for high schools, but they came to our K-2 side of town. Someone had this really stupid great idea to toss a bouncy ball into a crowd of 600 K-2 students who were seated on the gym floor. Imagine our disbelief as we saw chaos ensue! Anyway, I have reached 25 followers! YAYAYAYAYAY!!!!!!!!! I'm so excited, and I hope to have many, many more! Hopefully I can reach that soon in my TPT store. If you haven't followed me there, come check me out! I remembered to take pictures over the last few days, so let me catch y'all up on what I've been doing! 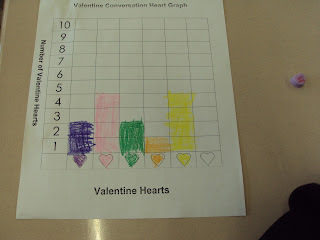 We worked on our Valentine Heart Graph (when my printer decided to run out of ink, and so did the copier, since we're all sharing the one in the office until ours come in). 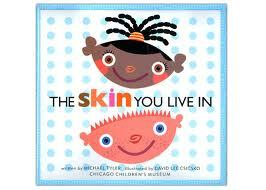 We opened up our Black History celebration by reading "In Our Skin" by Michael Tyler. I absolutely LOVE this book! It talks about how people all over the world have different tones to their skin, but we're all the same. 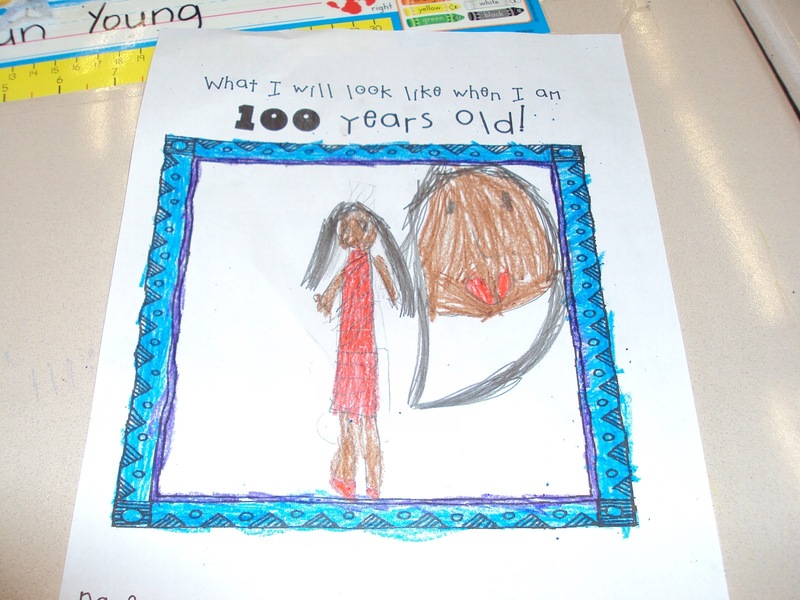 This little activity comes from my Black History packet, which can be found in my TPT store. I did not choose this colorful alphabet for my packet, simply because I don't have the commercial license for it. But feel free to add your own! It was a great beginning point for kindergarten. We are also working on addition, and this great word problem was created by Deanna Jump. I have a major headache, especially after that pep rally, so it's off to beddy bye for me!! Talk to you soon! Well, I know that I'm a week late, but here are our 100 day of school celebrations! We couldn't do all that I had planned, especially since moving to a new school site, but we were able to do a little. Everything that we did came from Deanna Jump's and Erica Bohrer's 100th day activity , which can be found in their TPT stores! The one below is my favorite, I think it is hilarious! I'm pretty sure that the one below said Apple iPod, but she just said iPod when I asked her about it, lol. I have been working on so many things, I have a lot of ideas up my sleeve, it just seems like I never have any time to bring any of it together! Hopefully work will begin to come together, so we can get into some kind of routine, this is my desperate hope! So, that means I've got to get started! Talk to you guys later! I have received my very first blog award, and I am so excited! It is the Liebster Award, and is given to bloggers with 200 followers or less, and was given to me by Natalie of Teachery Tidbits. She is a first grade teacher ( my old grade! ), so be sure to check her out! Thanks Natalie! Definitely go and check out these blogs, they are awesome!! Well, I have a lot of reasons to be joyful today! We have been out of school 7 days, due to the tornado that destroyed my school last Monday. Today was the first day back, and my kiddos were so excited to see me. One ran in and wrapped his arm around me! We discussed the tornado, and one student told me that she missed our old school. So do I! Thankfully I was able to get most of the things out of my classroom, to make it feel like home again. So, we are in a school in our feeder pattern, and it was like the first day of school times 100! We had to learn new routines and procedures, which can be overwhelming for Kindergarten! In other news, I sold my first 2 units today on TPT!!!!!! YAYAYAYAYAYAY!!!!!!!! It's not too late to get your copy of A Celebration of Black History! Visit my TPT store by clicking here. Tomorrow (although it was supposed to be last week) we celebrate the 100th day of school AND Groundhog Day!